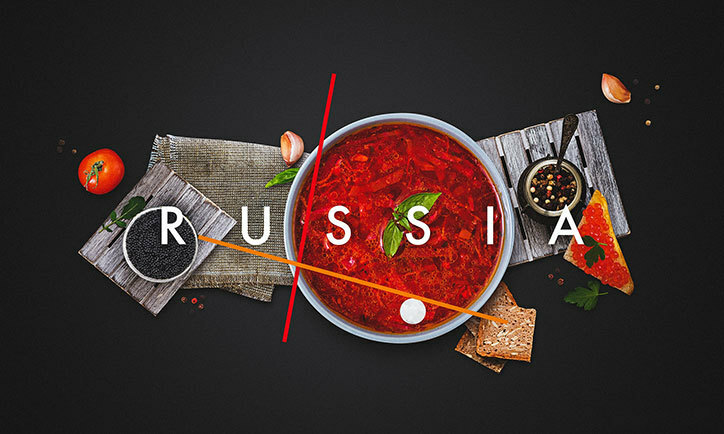 A team of five designers has created a new brand identity for Russia’s tourism board, using a logo that references the country’s cultural history and geography. 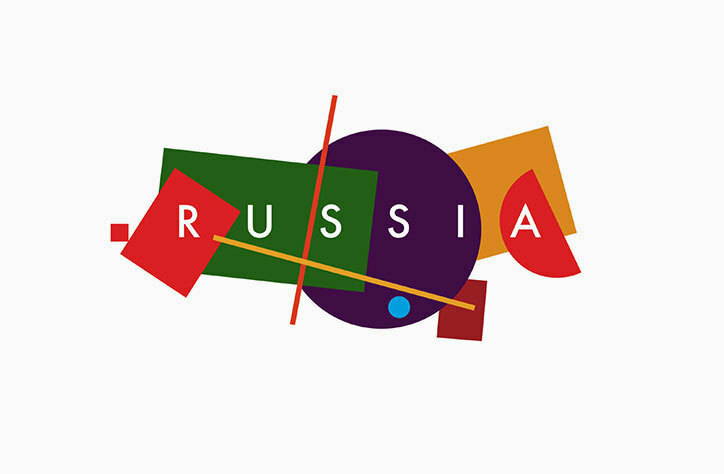 Employing the aesthetics of Suprematism, an art movement coined by Russian artist Kasimir Malevich that featured abstract compositions of bold geometric shapes, the logo uses such shapes in the form of a map of Russia. 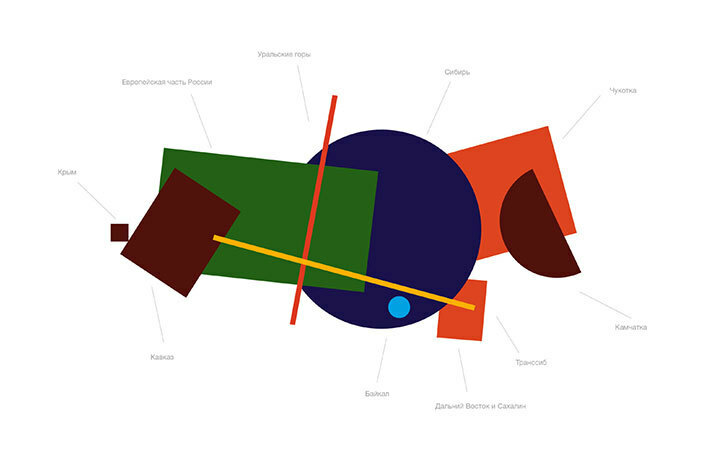 An important, avant-garde era of Russian culture, not least thanks to its ties to the revolution, the design team says it used Suprematist techniques because – in its time – it “personified advanced thinking” in the country, and is still associated with Russia around the world. The design team comprises Vladimir Lifanov, creative director of branding agency Suprematika; Ilya Lazuchenkov and Yegor Mysnik from branding agency Plenum; Denis Schlesberg, ECD at agency Artonika; and Erken Kagarov, art director at design firm Art Lebedev Studio. The core graphic is a stylised map of Russia, each shape representing points and territories around the country in block colours. 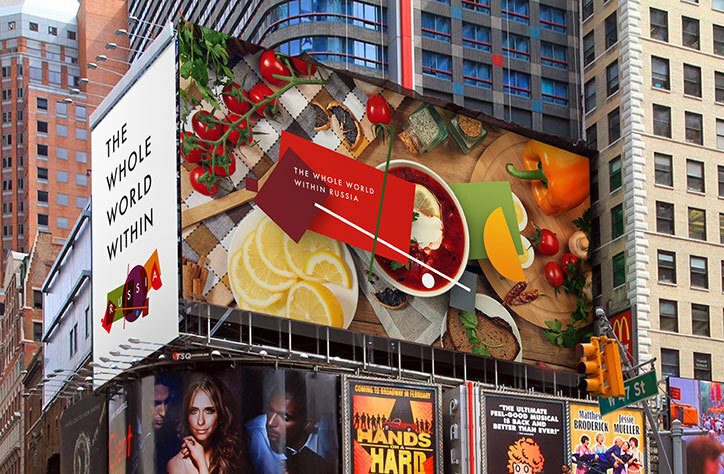 However, in tune with the campaign tagline “the whole world within Russia,” these shapes take on a range of different forms and surface imagery. For example the shapes are filled with an assortment of patterns, to celebrate Russia’s folk arts and crafts, or landscape photographs, to honour its scenery. In another promoting the exhibition Russian Art Through Centuries, the shapes are windows to classic artworks. Others are still-life-focused, wherein the central circle becomes a bowl of food (advertising Russia’s cuisine) or a football (denoting the country’s sport). For more subtle applications of the brand, the logo becomes simple white outlines overlaid on imagery, or white shapes with black outlines. The new brand identity was selected via competition within Russia, to which anyone could apply. From 480 logos and 600 slogans, 30 were developed and ten presented for public vote before a jury selected the winner. You can see these shortlisted designs here. 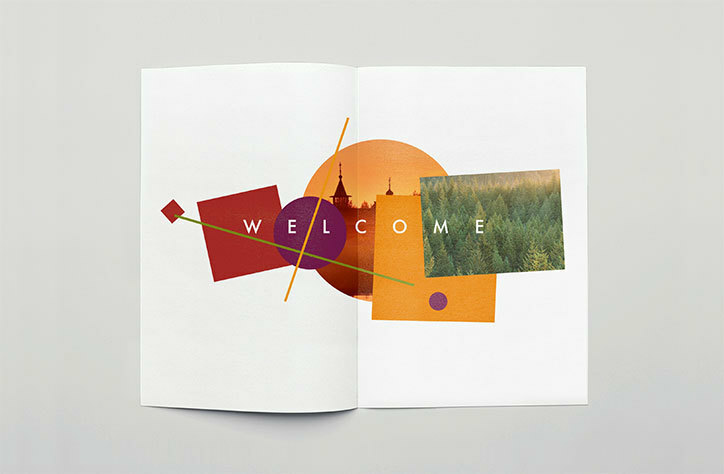 Vladimir Lifanov, Ilya Lazuchenkov, Yegor Mysnik, Denis Schlesberg and Erken Kagarov: Russia tourist board rebrand.